Apex Metadata API and Spring’14 : Keys to the Kingdom! 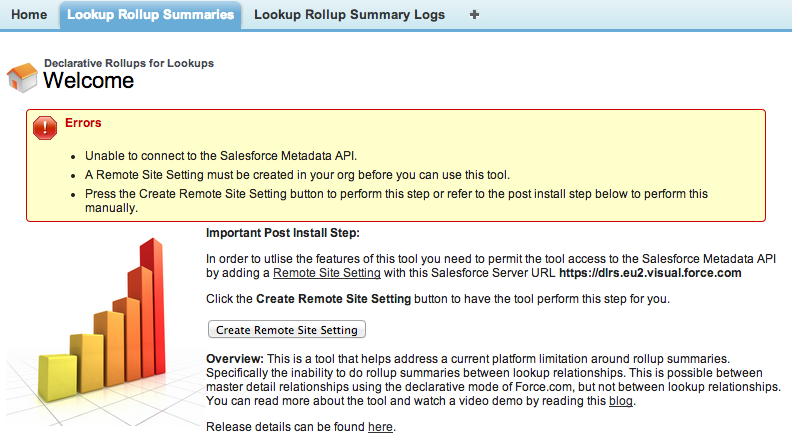 It seems like an absolute age since i first blogged about the new features Salesforce have added to the Spring’14 version of the Metadata API. This weekend my development org was finally upgraded and I was able to continue the work to upgrade the Apex wrapper around this API. The work is now complete and is formally the hardest and most time consuming upgrade yet, ultimately though the most worthwhile in terms of the way the API can now be used in Apex, it really feels like it has now finally unlocked the keys to the kingdom for Apex developers! The last blog presented an example of reading and updating a Layout. With this release I’ve now extended this to all Metadata types. The introduction of the real time variants of the CRUD operations is a significant step forward in the usability of this library, particularly if your want to update rather than just create things. Copy or merge tools. Ability to save admins potentially a significant number of clicks by writing tools to copy or merge Setup configuration. Setup Wizards. Scripting the creation more complex Setup config, such as Force.com sites or templating the growing set of org Settings. Field usage reporting. Read layouts, validation rules, workflows and search for field references. Writing your own Change Sets, You could write your own scripts to move specific metadata and/or sync things like picklists between orgs. Post install upgrades. Configuration UI to perform post install upgrades to none upgradable components, such as picklists and layouts in the subscriber org. NOTE: One thing still not possible via the above CRUD methods is the creation of Apex Class or Apex Triggers, the only way (including the Tooling API) of doing this in a Production org, is still via the Metadata API deploy operation, thus the sample code for this in the library is still valid. MetadataService.DeployResult class has a new details property replacing messages, read more here. NOTE: The deploy example has been updated in the library with the above changes. I first described in my previous blog, that i have invested in developing a patcher script, a peace of Apex code i have written that parses the default Apex code output from the Generate Apex from WSDL button and automatically applies the usual changes i have been making manually to date to get things to work, plus some new changes to support the new readMetadata operation. I have included the patcher code in the library if you want to take a look at it and have updated the steps in the readme to create your own MetadataService.cls should you want to (in the event i don’t update it in the future for example). You do not need to worry about this if you plan to take the pre-patched MetadataService.cls from the repository, the above is really just an FYI. The following Metadata types are not supported, as they utilise some specific features the above Patcher script does not support in relation to the use of shared Metadata type base classes. I’m confident these can be supported in the future and will like be working on these as part of the next release. I’ll be giving priority to those that have been the subject of recent questions , such as Flow and Sharing Rules. Since its creation, i have been getting a steady flow of questions and requests for this library (evidence by the large examples class these days), so i can see there is demand for it in general, personally i’d still like to see it as a native library without the need to make the callouts. However until that time comes I’ll continue to support the community. Please do let me know what you’ve been getting up to with it and join in creating great community tools to help admins and developers be more productive! Categories: Apex, Metadata API, Tools, Web Services | Permalink. The upcoming Spring’14 Metadata API brings with it some great new architectural features. Ability to read Metadata without having to use retrieve and unzip the response! The most exciting for me is the first two, first up the ability to greatly simplify the use of the API, particularly in Apex. As per a previous blog post I covered the requirement to poll for the results of certain API operations via the checkSync and checkDeploy methods. Which involved the use of either Batch Apex or apex:actionPoller. Many posters on this blog and the GitHub repo found this awkward to code. These original operations still exist and I’ll continue to support them, but we now have some much much easier variants that simply return immediately the result. Here is an example showing the new readMetadata operation in action! With a true read facility in the API, imagine the possibilities with the Layouts alone, such as merging layouts, dynamically adding or removing buttons, fields, sections from a selection of layouts the user selections. If your developing a packaged application, providing a means to upgrade your users layouts and picklists automatically! No Batch Apex, no apex:actionPoller to be seen! Its still early days and the official docs have not been announced, but from what I’d expect from how the readMetadata operation is designed, you’re going to be able to retrieve other types as well, such as ListView, Reports etc. Suddenly creating Setup wizards has become much easier, as well as custom Setup reporting tools, for example retrieving all the layouts and dumping the fields used in a Custom Object for reporting! No More Zip File Handling! As always the code generated by the platform via the WSDL2Apex ‘Generate Apex from WSDL‘ button didn’t quite generate the Apex needed. Each time I refresh the Apex wrapper I have had to manually apply the changes to get it working again. This time i invested some time to write a script, written itself in Apex, that will parse the generated code and patch it with the required changes. It uses a customer Iterator to read the lines of code and the Tooling API to update the Apex class when its done. Once again the use of xsd:extension in the Metadata API proved to be a challenge in getting the readMetadata operation to work. Since as I found before this XML Schema construct is not readily supported by WSDL2Apex or the Apex XML bindings at runtime. The main weakness is the lack of interpretation of the xsi:type attribute, which identifies which Metadata type (e.g. CustomObject, Layout etc) the XML represents. As soon as I tried the readMetadata operation it gave an error as it tried to de-serialise the Layout, into the base Metadata type (which only contains fullName). To get things to work I had to create some new Apex classes representing the responses from the readMetadata operation for each of the Metadata types. Fortunately the new script i developed can be taught to generate these for me! I’ll eventually post more on the changes to get the readMetadata operation working on the GitHub repo Readme. Spring’14 is around the corner! I’ll formally update the library once Spring’14 has been rolled out to the production servers in February. Until then you can download the MetadataService.cls and MetadataServiceExamples.cls classes from this Gist here. You can try it out in your pre-release orgs if you like. I’ll also post a few more fancy examples as well. Force.com provides a means to generate Apex classes that allow the calling of a given Web Service as described by a WSDL (Web Service Definition Language). 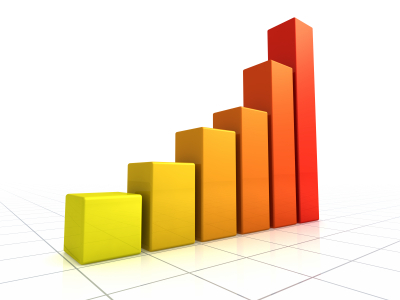 This tool is often referred to as the WSD2Apex tool. Despite not having any real “logic” in them, these classes also need code coverage in order to deploy to Production or include a Package. While the tests for your Apex code that calls the Web Service indirectly ensures you obtain a certain amount of coverage of these classes, it may not be enough. Since you may only require use of a subset of the types and methods generated. The solution is often to comment out the bits not needed, however this is less than ideal if you plan on regenerating the Apex classes, when the Web Service is updated. This short blog illustrates a way to generically cover the types and methods generated by the WSDL2Apex tool. Such that you don’t need to modify the generated code and can freely update it as desired, adding or removing types or methods in your test class accordingly. It utilises the UPS Street Address Web Service as per this Stack Exchange question, it requires a small tweak to the WSDL before doing so. Step 1. Covering Generated Types. Each of the inner classes generated represents the data types from the WSDL (sometimes these are split into separate Apex classes). While they don’t have any methods in them, they do have static initialisation code. Constructing each of these classes will execute this logic and generate coverage. For each of these in the generated class…. Create a test class and test method to cover the type inner classes, repeating line 6 for each. Step 2. Covering Generated Methods. Each of the methods on the Port inner class represents the operations described in the WSDL. Fortunately these methods do not care much about the data flowing in or out of them, which makes it easier to create a generic Web Service mock implementation. For each of these in the generated class methods, observe the types used on lines 9 and 10. Then create the following inner class in your test and repeating lines 11 and 12. Create a test method to cover the generated methods, for each of the methods in generated code repeat line 6 for each. Note that you don’t need to worry about the values being provided to the methods, as the Web Service mock does nothing with them at all. Note that the test context still limits the number of callouts to 10 per test method, so you may need to split the method calls across two test methods. Summary. If you want to see a full example of this type of test check out this test class based on the Salesforce Metadata API Web Service. This approach may not be for everyone, certainly if you are already covering a large portion of the generated code or prefer to just delete / comment out the code you don’t need it. However if your providing some kind of connector library or you just want to retain the ability to upgrade the Web Service more easily, or your just determined to keep your 100% code coverage, this might help! Categories: Apex, Web Services | Permalink.